This Is the Army is a 1943 American wartime musical comedy film produced by Hal B. Wallis and Jack L. Warner, and directed by Michael Curtiz, adapted from a wartime stage musical with the same name, designed to boost morale in the U.S. during World War II, directed by Ezra Stone. 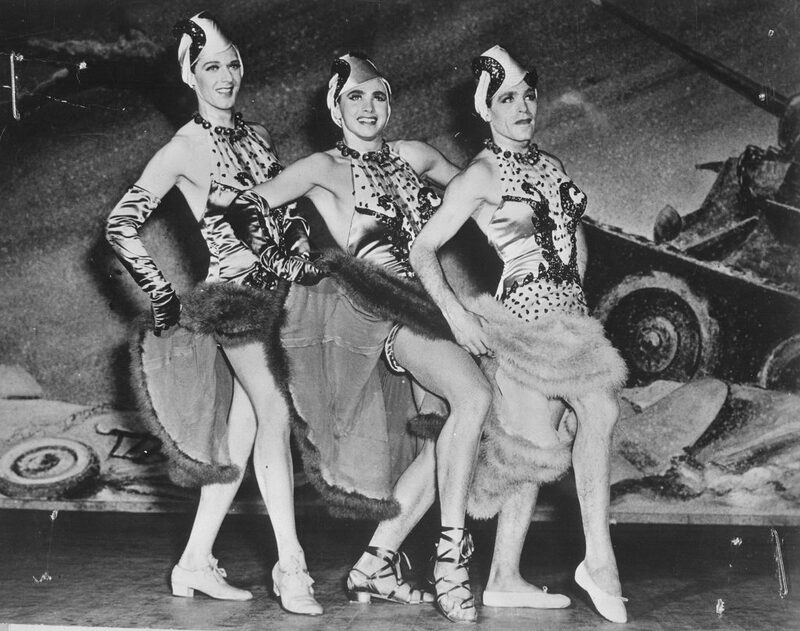 The screenplay by Casey Robinson and Claude Binyon was based on the 1942 Broadway musical by Irving Berlin, who also composed the film’s 19 songs and broke screen protocol by singing one of them. The movie features a large ensemble cast, including George Murphy, Ronald Reagan, Joan Leslie, Alan Hale, Sr. and Rosemary DeCamp, while both the stage play and film included soldiers of the U.S. Army who were actors and performers in civilian life. In World War I song-and-dance man Jerry Jones (George Murphy) is drafted into the US Army, where he stages a revue called Yip Yip Yaphank. It is a rousing success, but one night during the show orders are received to leave immediately for France: instead of the finale, the troops march up the aisles through the audience, out the theater’s main entrance and into a convoy of waiting trucks. Among the teary, last-minute goodbyes Jones kisses his newlywed bride Ethel (Rosemary DeCamp) farewell. In the trenches of France, several of the soldiers in the production are killed or wounded by shrapnel from a German artillery barrage. Jones is wounded in the leg and must walk with a cane, ending his career as a dancer. Nevertheless, he is resolved to find something useful to do, especially now that he is the father of a son. Sgt. McGee (Alan Hale, Sr.) and Pvt. Eddie Dibble (Charles Butterworth), the troop bugler, also survive. Twenty-five years later World War II is raging in Europe. Jerry’s son Johnny (Ronald Reagan) enlists in the Army shortly after Pearl Harbor. He tells his sweetheart Eileen Dibble (Joan Leslie) that they cannot marry until he returns, since he doesn’t want to make her a widow. Johnny reluctantly accepts an order to stage another musical, following in his father’s footsteps. The show goes on tour throughout the United States and eventually plays Washington, D.C., in front of President Roosevelt (Jack Young). During the show it is announced that this is the last performance: the soldiers in the production have been ordered back to their combat units. Eileen, who has joined the Red Cross auxiliary, appears backstage. During a break in the show she brings a minister and convinces Johnny that they should marry now – which they do, in the alley behind the theater, with their fathers acting as witnesses. The plot provides an envelope to showcase both revues. “My British Buddy”, also sung by Irving Berlin, was cut from the movie version but released on DVD. It was originally added to the British production of the musical.